I’m pretty sure it was for Clarion cosmetics. 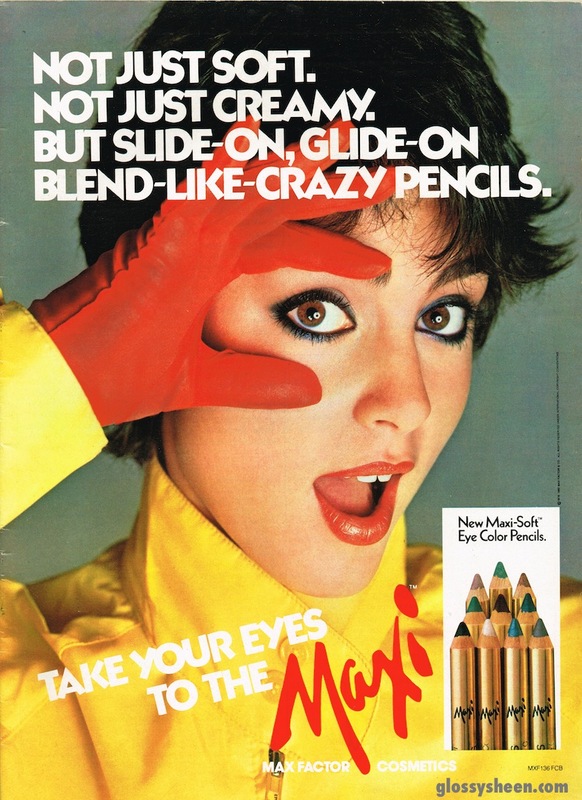 Or maybe Max Factor. Or was it Au Coton? Anyway, it was all about color, a lifelong obsession of mine. But don’t close the browser window just yet. I’m not talking about head-to-toe neons, 80s style, although there are modern interpretations of that trend. Tip #2: Give the eye somewhere to rest. This combination of a bold color (in the button-down) and a deep color is tied together with the neutral sweater. (Another great WARM or SOFT outfit idea). Tip #3: Wear deeps with contrasting bolds. This chic combination works well because the deep color and the bold color are both equally intense and saturated. A bold coat over a monochromatic head-to-toe look is a timeless outfit formula. (This combo would be gorgeous on a WARM, DEEP or CLEAR Color Code). Color goes with color, period. The shortcut to pulling this off is to keep the intensity of the colors the same. Bold colors with bold colors, brights with brights, and deeps with deeps. Once you’re comfortable with those combos, mix it up and try a dusty pink with a deep wine, or a baby blue with charcoal gray. (This look is gorgeous for a CLEAR, but can also be worn by a DEEP). Tip #6: Choose soft colors in strong shapes. Avoid a look that is too young and too sappy-sweet by wearing Easter egg colors in sleek, classic, grown-up shapes. The addition of the elegant blush coat, which acts as the unifying neutral, adds even more sophistication to this look, which is ideal for a SOFT, LIGHT or COOL Color Codes. This classic Blair Waldorf look features a colorful bag, shoes, and coat, and it’s gorgeous, but it’s all about baby steps. 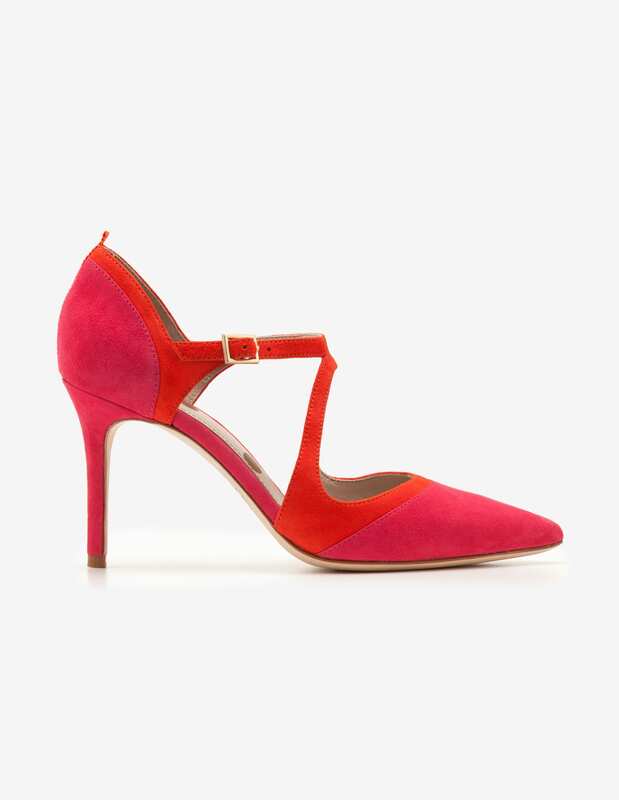 Start with a shoe or a bag in a bold color, and go from there. (CLEAR and WARM Color Codes would do best in this outfit, but it also works for a DEEP). Sometimes, you just have to embrace the color. 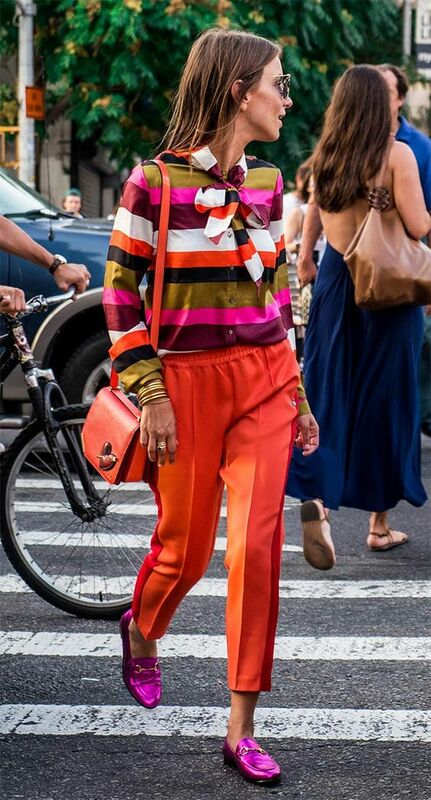 A standout piece, like this gorgeous, brightly colored blouse, deserves standout pieces to go with it: bright pants, a crossbody, and metallic flats. (Best for WARM, CLEAR, and DEEP). In the case of this look, it’s the bold, yellow skirt, worn casually with a navy tee and white sneakers. It’s a stylish but simple everyday look. (Best for WARM and DEEP Color Codes). 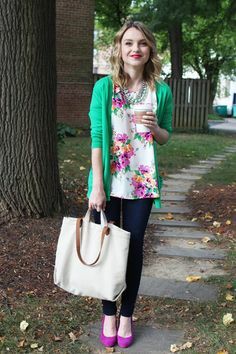 This floral blouse lends itself offers lots of possibilities in its color palette, and looks beautiful when combined with the green cardigan, mint necklace and magenta pumps. Jeans and a neutral bag keep the outfit grounded. (Best for SOFT, LIGHT and COOL Color Codes). Blush, gray and beige blend effortlessly together in this elegant look. Blush is well established as a neutral now, and light beige and light grey are infinitely chicer when layered. (Best for: SOFT, LIGHT and COOL Color Codes). Tip #12: A pop of color can come from unexpected places. This blush colored moto jacket, for example, adds a welcome does of color to a head-to-toe neutral look. (If the blush is an icy shade, this look would work for a COOL. If it’s salmon colored, it would be great for a WARM. As is, it works for a LIGHT, and with a change of pants (charcoal, or navy), it would work for a SOFT). Tip #13: Nothing is chicer than a colorful coat worn over head-to-toe neutrals. This gorgeous coat and bag combo elevate a very simple beige sweater and pants outfit, and make it gorgeous. Another key detail: Silver and beige pumps. (Best for COOL, LIGHT and SOFT Color Codes). Tip #14: Ground pastels with neutral stripes. This mint green jacket and peachy pants outfit might be a little over the top, if it weren’t for the classic, neutral striped top to tie them together. (Best for LIGHT, SOFT, and WARM). Tip #15: Combine neutrals with abandon. Focus on neutrals that go, rather than neutrals that match. 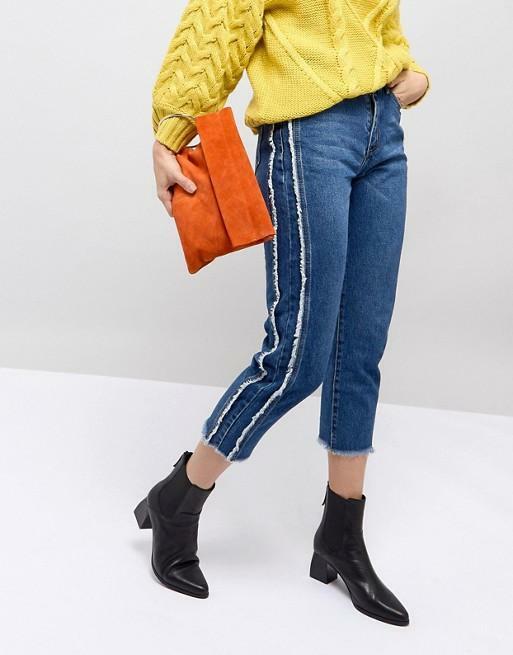 This outfit is a fabulous example of this concept: Rust pants, a beige sweater, and camel, almost mustard, flats look ridiculously chic together, and it’s an easy look to pull off. (The pants are from Lou & Grey at LOFT). While this palette works best for a WARM and even a SOFT, you can recreate this look using various neutrals from your Color Code swatches). Colorful Pants: These are a great way to add color to all your neutral basics, and are easy to pull off. Just avoid very brightly colored pants with a neutral top if you’re a Style Dial 2. (The reverse is a better choice!). Colorful Shoes: Even if everything you wear is neutral, a shoe in a pretty color that complements your wardrobe is always a good investment. Bold Bag: Another easy, effortless outfit elevater, a boldly colored bag adds style to an otherwise simple look. I hope these ideas have inspired you to live a more colorful life!